BMW is currently in the initial phase of a wide-ranging public-relations review in the United States, the carmaker told Advertising Age, an affiliate of Automotive News. The carmaker -- which currently works with several different shops -- is searching for PR help on two fronts: the first is for consumer marketing, brand communications and auto shows. The second concerns PR surrounding the brand's Olympic sponsorship. Roth Associates is the search consultancy assisting with the review process. It's a move that could shake up the brand's longtime relationship with Rubenstein, the agency which has handled consumer PR duties for BMW for 13 years. Rubenstein referred calls to comment to the client. Said Stacy Morris, marketing communications manager at BMW: "We've managed to take a lot of time with Rubenstein without having to do the review, so it's time to review as part of our normal operating procedures." She said the firm was invited to participate in the review, and Rubenstein is understood to have accepted. Also invited to pitch ideas is Fleishman-Hillard, which also referred calls for comment to BMW. 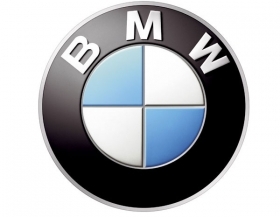 The Omnicom Group agency works with the German auto brand on social media and Olympic PR (BMW sponsors U.S. Olympic and Paralympic teams through the 2016 Games). "[Fleishman-Hillard] accepted on Olympics, but it's not confirmed that they can accept for the larger piece of the business," Morris said. When asked if the firm's hesitance was due to a potential conflict in its relationship with another auto giant, General Motors Co., she said yes. Morris said the review is less about dissatisfaction with its agencies than it is a formal review process that is outlined as part of BMW's corporate policy on working with agencies. Fleishman-Hillard's social-media business is not part of this review process as the account has only been with the agency for a couple of years, she noted. The PR reviews come on the heels of a creative review earlier this year in which Kirshenbaum Bond Senecal & Partners emerged the winner. Kwittken, an MDC Partners-owned PR shop that operates as part of KBS&P, does work for ActiveE, the company's new electric auto product, so it's another firm that will likely be invited to BMW's pitch, along with Coyne PR, which handles product PR. As with Fleishman-Hillard's social-media account, the Coyne's product-specific business isn't up for review, but the current pitch process would give both firms a chance to pitch for additional pieces of business. Other agencies that work with BMW include Dotglu, which is part of KBS&P and handles digital for the brand, and Interpublic Group of Cos' Universal McCann, which is BMW's media agency of record.